When the door opened after arrival of SQ25 at gate B46 of Frankfurt's International airport, first class passengers were escorted off the aircraft before any other passengers and met by a Singapore agent in the jetway. 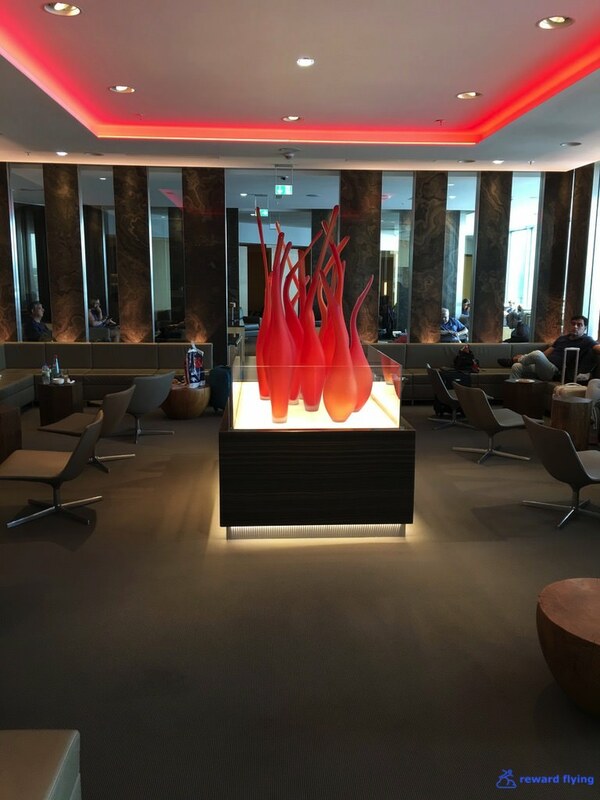 The agent walked us to the Lufthansa Senator lounge which was only a short distance. I asked to go to the Air Canada lounge and the representative insisted he walk me there. It's just past the Senator lounge on the upper level. Air Canada's pride, the 787-9 decked out in their new livery. First order of business was a shower. I was told to take any empty room. At 10:30AM I had my pick. Due to the previous evening's delay leaving JFK, what typically is a an hour and 50 minute layover was shortened by at least 30 minutes. Time for a coffee and a few photos. The front room was shaped as a square outlined with bench seating that shared some small tables and single chairs. The artwork reminded me of lava lamps from yesteryear. A more popular area was the back room with conventional lounge seating. 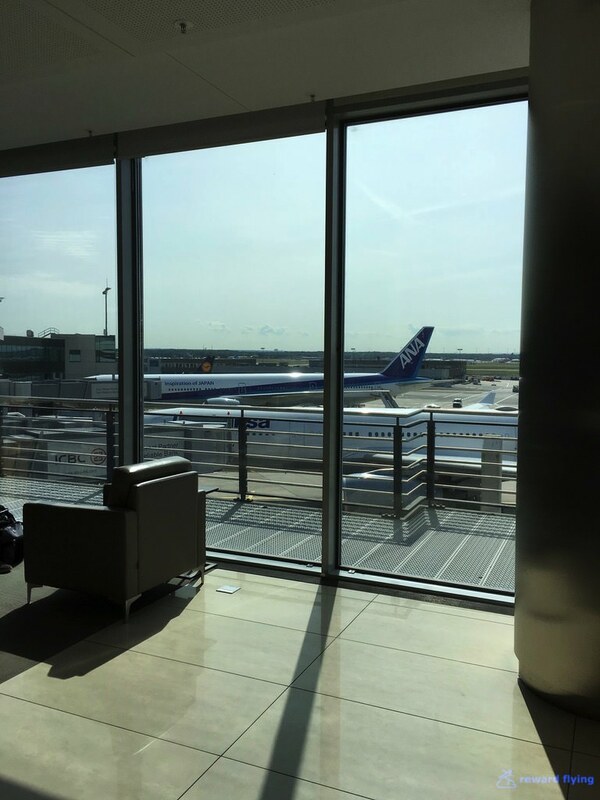 The lounge had a nice view of the gate areas and I believe the east side runway. Food selection was limited but hearty, offering sandwiches as well as some hot items. For those who missed out on breakfast sweets they remained along with cookies and cupcakes. I headed back to the gate where my timing was precise as Suites boarding commenced the minute I arrived. As I walked down the jetway a couple cabin attendants were waiting at the door. One of the attendants whose name was Angie walked up the jetway to meet me halfway. She introduced herself and escorted me onto the plane. While we had exited through door 2, we boarded through door 1. On a counter above some storage areas next to Suite 1A was a selection of reading material. Angie showed me my seat and then offered to show me around the aircraft once I was settled. I said I'd love to see the upper deck. She stored my carry-on and I placed my duffle bag under the ottoman. She returned and we were off. I found it interesting that this aircraft had premium economy as well as new first class suites recently installed, but the old business class seats were not updated. Maybe they were new, but definitely the old seat. Angie explained the differences of Singapore's A380's with this aircraft having a full upper deck of business class seats, 86 to be exact. She asked if I wanted to see the back cabin but since it was filling up with passengers I declined. Angie turned out to be one of my all-time favorite cabin attendants. She was perfection the whole flight. So it was back to my familiar home for the next 12 hours. This time I received a set of blue pajamas. There wasn't a second amenity kit, which was fine especially considering how much space these items take up when traveling. And of course the lavatories were stocked with everything you needed in flight. Behind the suite is a small closet to hang your clothes. We pushed on time, then with a short taxi the massive A380 was airborne. Book the Cook for this flight didn't excite me. After poking around on flyer-talk I found a number of positive comments on the Bresse chicken so that's what I ordered. The inflight menu was also posted on the website furthering my lack of excitement towards any offering. So here is the problem with SQ25. Beforehand the expectation is incredible. 20 hours in Singapore Suites. What could be better? Then reality. The 6 1/2 hour air time from JFK was enough to have too many glasses of spectacular champagne and incredible wine along with a memorable meal. Then a couple hours of sleep and it's time to arrive. And you're arriving at around 4:30AM your body clock time, or at least mine. And this body wasn't ready to enjoy all the things that are great on SQ25 Suites Class. I passed on champagne. I did nurse the same Margaux, but I don't think I finished it. On this flight they served the famous Singapore satays. I don't understand why they don't place the tablecloth on the tray for this course (Thai did that same), but they didn't until the course was complete. A second round a caviar within 10 hours without champagne didn't appeal so I went with the smoked salmon appetizer. It was decidedly business class, but good. Next was the Oxtail soup with Wolfberries. I knew I'd heard of Wolfberries but couldn't place it. Goji berries of course, as we call them here in the states. The soup was nice, a rich beef consomme. But I never would have thought of goji berries to be in a soup. It reminded me of a salad I often make home, minus the presentation. The Bresse chicken was a beautifully presented dish. But in the end it's just a chicken thigh and leg. Yet it was an interesting dish. The sauce was fantastic, the meat perfect inside but dry around the edges. While no asparagus as the menu suggested, (Lufthansa probably gave me all the asparagus in Germany on one of my recent LH flights) I didn't miss it. Would I get it again? Probably but if something else looked better I'd not hesitate to switch. I did finished it and thoroughly enjoyed it. For dessert I ordered the baked rhubarb cheesecake. While unusual looking it was quite good. All in all the meal was very good. While one could nitpick, one could also be in economy. 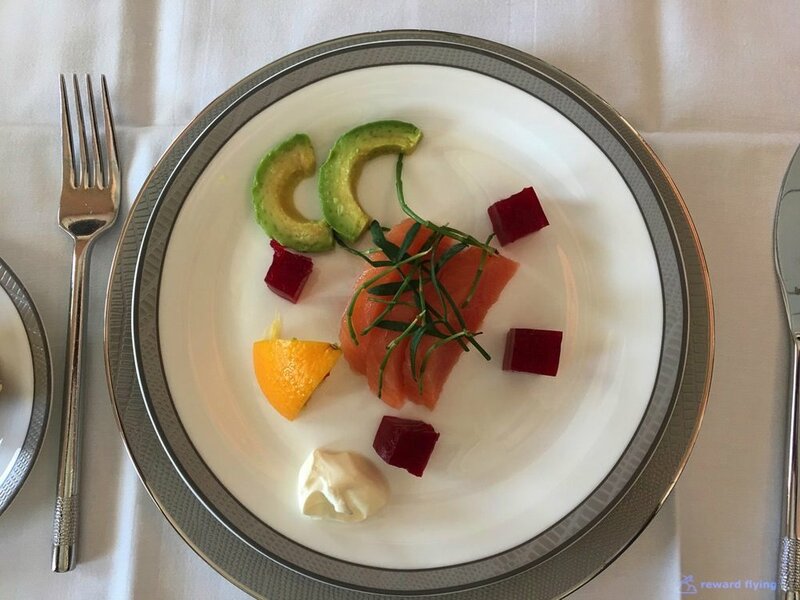 The presentations and quality of the food were what you would expect in a first class cabin on a world renowned airline. Personal taste is another matter. My mistake, no caviar and champagne! During the meal the couple in row 3 who were headed to Hong Kong ate together with the male sitting on the ottoman. We probably hit some turbulence and a little wine spilled from one their glasses. Attendant Angie INSISTED she change the table cloth. I mean we're talking a ring around the wine class base. The couple said it was fine. No, Angie replaced the table cloth instantly without upsetting the couple's meal. First class service. It was time to sleep. Angie prepared my Suite. Unfortunately the cabin was pretty full so 3A it was. The bedding includes a thick mattress pad along with a soft silky like duvet and multiple pillows. A thoughtful side table and tray for glasses along with a bottle of water. The Suite has blinds on either side of the door for complete privacy. I slept fairly well, and the term fairly had no implications towards the bed, more like my body clock. After probably 6 or 7 hours I awoke and watched some shows from the extensive movie/TV/documentary library that was in excess of 500 items. I didn't order anything from the snack or anytime menu preferring to wait for breakfast. Book the Cook for breakfast. Deliciously Wholesome is a concept Singapore Airlines introduced in 2016. The idea is to eat cleaner, or healthier foods. I'd read rave comments on this breakfast salad of farro and avocado. You could get the salad with chicken or a red lentil soufflé. I booked the later. From the Breakfast menu I also ordered the fruit and granola. Fruit was first, United's version is a distant memory. Then instead of granola they had muesli. While not soaked Bircher Muesli it was still delicious with the berry compote and greek yoghurt. Next was the farro and avocado salad with red lentil soufflé. I wholesomely second the rave reviewer's opinion. What an interesting dish! The farro salad is cold and avocado wasn't prominent. But the flavor was outstanding and the red lentil soufflé was delicious. I would get this again in a heartbeat. Sadly daybreak was at hand which meant the 7AM arrival was at hand. We were on the ground before the sun would appear. 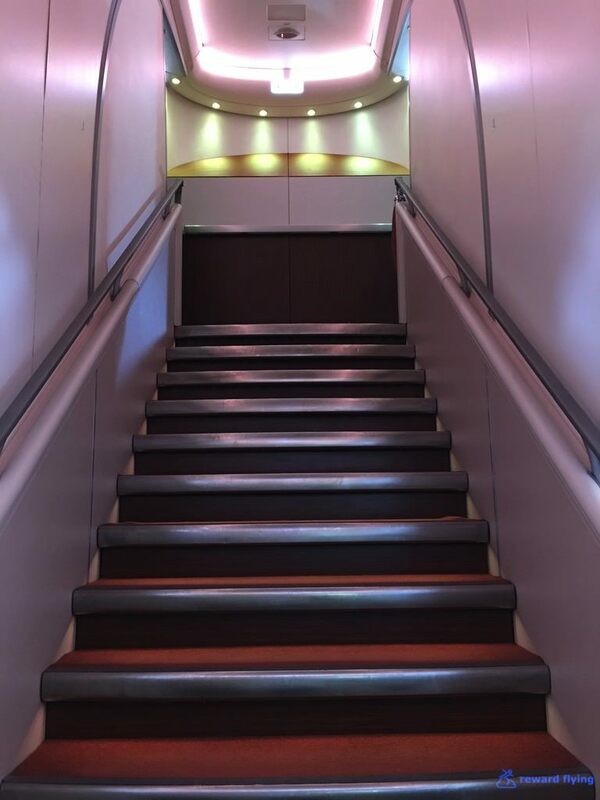 A glorious 20 hours on Singapore Airlines A380 Suites class has landed. 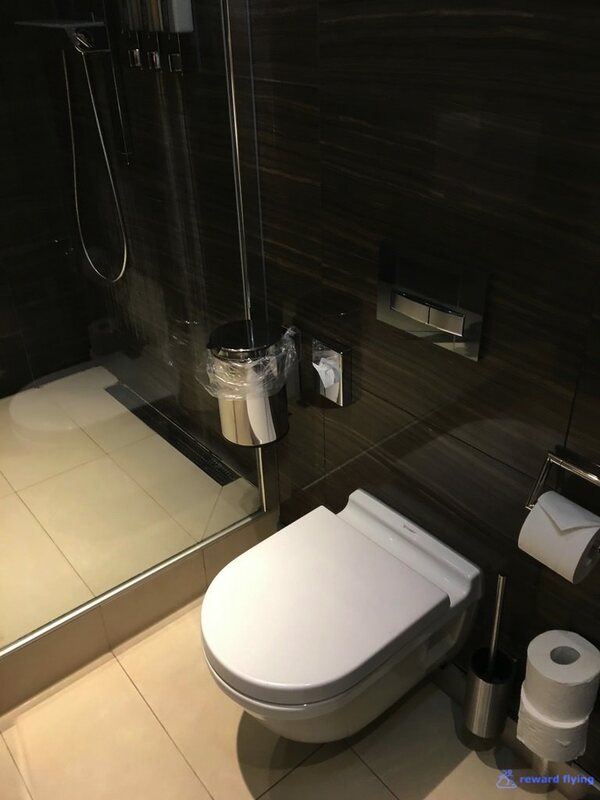 ✔︎Newly refurbished cabin was immaculate as was the suite. ✔︎Very comfortable seats for sitting and sleeping. Would prefer a better recline. ✔︎No second amenity kit but a second serving of pajamas. 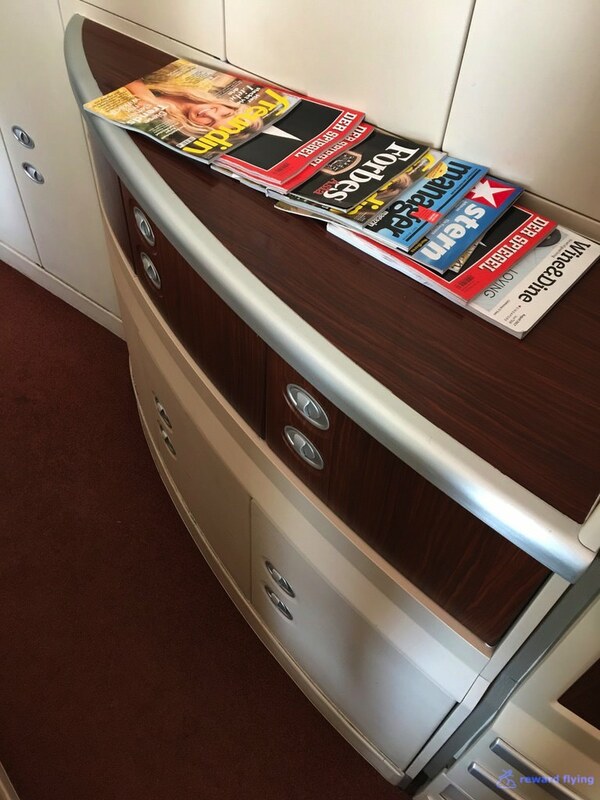 Plus all the amenities you'd expect on a first class airline. 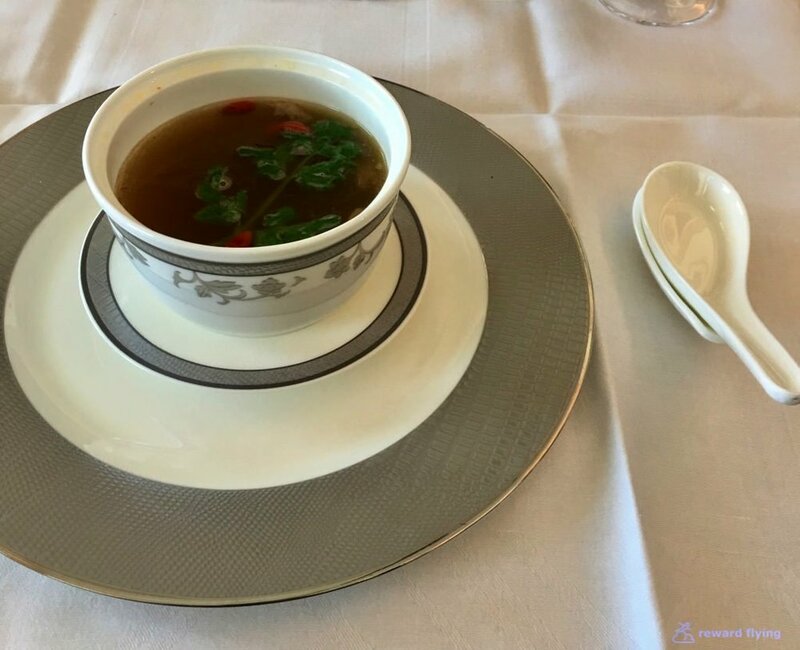 ✔︎Fine china (or appears to be), yet missing a special touch like a flower or candle as some airlines do. ✔︎Big monitor without exceptional resolution but pages and pages of content, hundreds of selections. ✔︎The only change in ratings is an additional point for Angie. While this probably isn't fair to the prior crew as they were outstanding as well, Angie had a special touch, escorting me onto the aircraft from the jetway, showing me the upper deck, the way she attended to everyone's needs and also her personal interaction made this flight special. I reached out to Singapore Airlines and voiced how impressed I was with the crews on these flights. Tell us about your Singapore Airlines experiences. Feel free to leave a comment below.